FOR PRE-ORDER ONLY, AVAILABLE MARCH 1ST. Follow members of the BDR expedition team as they verify the route across Nevada. Get unique access to the roads, landscape and people that make Nevada one of the premiere adventure riding destinations in the country. Feature length DVD (1 Disc). Plays in any DVD player. This exciting documentary gives you an in-depth look into the creation and first expedition of the NVBDR. 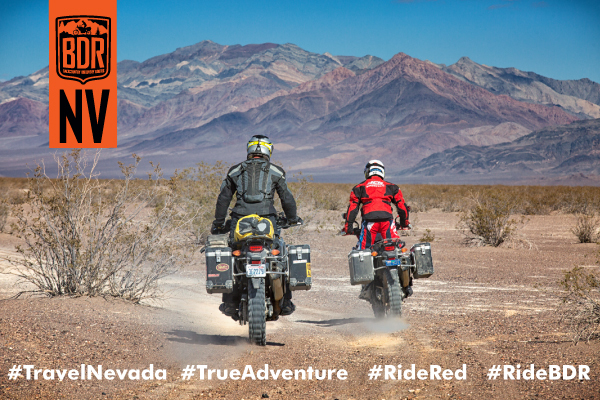 Follow a group of riders on large adventure touring motorcycles including KTM 1190 Adventures, BMW F800GS’s and a BMW R1200GS, tackle some of the toughest terrain while traversing the beautiful Nevada backcountry.